Just wanted to share the great news! Let’s hear it for the State Dept. and WPATH! Now transgender people won’t be restricted in their travel, like every other law-abiding, tax-paying citizen!! 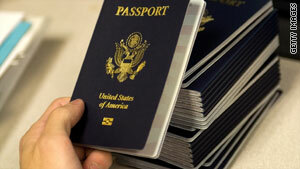 Washington (CNN) — The U.S. State Department announced Wednesday a new policy that no longer requires passport applicants seeking a gender change to have undergone sexual reassignment surgery. This entry was posted in News and tagged passport, state department, transgender, transsexual, travel. Bookmark the permalink. I would imagine this applies to NEW passports too? The U.S. Department of State is pleased to use the occasion of Lesbian, Gay, Bisexual, Transgender Pride Month to announce its new policy guidelines regarding gender change in passports and Consular Reports of Birth Abroad. this is indeed a very big deal. Now I just wish they’d do something about the airport body scanners. Because even though the person who sees the scanned image is in some booth somewhere, the person with the radio standing in front of you after you’ve gone through checks with the person in the booth by saying into their walkie talkie “male, copy?” or “female, copy?” based on how he/she reads you. And then the person in the booth has to reply, based on what they see on their screen (which may or may not correspond to what they think of as “male” or “female,” of course) that you’re okay to go– or not. K’s comment to me when I told her about this last week was, “that gender stuff is not in the protocol! That’s not how they do it in Europe!” But that’s how they do it in Boston. This is what I would call the invasion of the body scanners.